Background Cavernous angiomas are vascular malformations which rarely involve the cavities of the lateral ventricles. Knowledge of the specific clinical and neurora- diological features displayed by these lesions is limited by the scarcity of patients included in the reported series. Objective and methods The aim of this study was to compile and analyse the epidemiological, clinical, neurora- diological and surgical characteristics of these lesions as provided by the well-described examples reported in the scientific literature. A total of 49 were gathered, including three patients operated on recently in our Department. Findings and conclusions Cavernomas developing within the ventricular cavities attain a larger size than parenchymal counterpart lesions, causing symptoms and signs derived mainly from the mass effect. The characteristic parenchy- mal hypointense rim is less frequently identified on T2- weighted echo-gradient MRI sequences. Total surgical excision is the treatment of choice for these lesions, yet the surgical routes employed may still be associated with a high rate of neurological complications. Introduction and objectives. Cavernous malformations (CM) at the level of the brainstem, continue to present a challenge in therapeutic terms and are an important source of controversy. Here we present our experience and the results obtained by adopting surgical treatment. Materials and methods. The results of a consecutive series of 17 patients were studied. The surgical interven- tion was designed after: 1. A neurological examination. 2. MRI and cerebral angiography. 3. Correlation with anatomical brainstem maps. The surgical intervention was approached from the most damaged zone or through a zone which was functionally least important. Results. Complete extirpation was achieved in 15 pa- tients without mortality. In a few patients the surgical intervention temporarily aggravated the prior lesion of the cranial nerves (2=17) or damage new sensory tracts (2=17). The functional post-operative recovery was good, in terms of consciousness (4=5), cranial nerves (11=17), the pyramidal tract (3=5) and the cerebellum (2=4). Of the patients that were operated, 14 of 17 returned to their professional activities. risk of further bleeding. It is probably best that the surgery is performed during the subacute period, when the MRI offers a clear image confirming the presence of the CM. Palabras clave: Cavernous malformation; brainstem hem- orrhage; intraoperative neurophysiological monitoring; neuronavigation; radiosurgery. Introduction and objective. 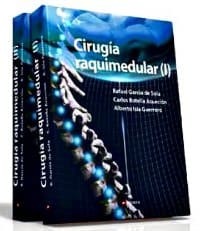 We pretend to evaluate the surgical procedure and clinical results of microvascular decompression (MVD) of 21 patients suffering from essential trigeminal neuralgia between 1989 and 1997. Patients and methods. Selection criteria included: ineffectiveness of pharmacological treatment, good general condition, more than five years life expectancy, and do not have undergone ablative-lesive surgical procedures before. Results. After a post-surgical follow-up of between three months and three years, it was obtained a 100% success rate of immediate pain relief, with only a 14.2% recurrence. There were no sequels as those typically found in lesive techniques as paresthesias and dysesthesias, painful and/or corneal anaesthesia and motor disorders. There were no deaths, although there were three cases of post-surgical complications. Conclusions. To evaluate the long-term results of different surgical techniques in the treatment of the essential trigeminal neuralgia is outstanding the patients satisfaction rate, which not only depends on pain relief and absence of recurrence, but also and very specially on the neurological deficiencies following the procedure. So, we consider that MVD is the most effective technique both in symptoms relief and neural functions and structures preservation, even though the possibility of appearance of complications following any major surgery [REV NEUROL 1998; 27: 65-70]. Palabras clave: Long-term results. Microvascular decompression. Radiofrequency rhizotomy. Trigeminal neuralgia. Palabras clave: Megadolichobasilar. Microvascular decompression. Tortuous vertebrobasilar artery. Trigeminal nerve. Trigeminal neuralgia. Palabras clave: By-pass. Fusiform aneurysm. Intraextracranial by-pass. Transient ischaemic episodes. Wada’ s test. Palabras clave: Intracerebral bleeding. Indications. Review. Stroke. Surgical treatment. Palabras clave: Cervical myelopathy. Craniocervical junction. Dural fistula. Extreme lateral approach. Magnetic resonance. Medullar arteriography.